Osteoporosis (= fragile bones). At later stages, osteoporosis increases the risk of fractures, including those of the vertebrae and the femur. Fractures of the vertebrae can occur after trauma or simply spontaneously during your everyday life. They generally are felt by pain in the back. This is followed by intense pain that requires immediate rest for relief. Avascular necrosis is the degeneration and destruction of a bone, commonly the femoral head. This is a result of a loss of blood supply to the bone. It comes in various forms and symptoms are not particular (sometimes there are none at all). These may include sudden pain in one hip or leg. However, there is usually a gradual onset of pain when one is standing or walking. This pain becomes lessens when the person rests. The condition progresses to eventually limit the individual?s movement and carry a limp. The diagnosis is made after the results of an X-ray or MRI. Frequency: the frequency of osteoporosis depends on the dose and duration of the corticosteroid therapy but also on the condition requiring cortisone treatment. For instance, it is more common to cases of rheumatoid arthritis but much rarer in cases of asthma. It is also the case for avascular necrosis which is much more common with cases of lupus than with other diseases. Overall, these conditions (particularly avascular necrosis) are quite rare corticosteroid-induced side effects. Subjects at risk: women are more at risk for osteoporosis or osteonecrosis than men. The risk of corticosteroid-induced osteoporosis increases with age. Also, certain conditions can predispose you to these bone complications. Finally, the risk increases with duration and dosage of cortisone. The risk of contracting osteoporosis increases even with low dosages (approximately 5 mg per day). Long-term versus short-term treatment: osteoporosis is a disease that can become active in the body in the earliest weeks of treatment. However, it usually becomes problematic in patients undergoing long-term corticosteroid therapy. The risk of avascular necrosis is greater in patients treated for longer periods as well. Prevention/treatment: the prevention and treatment of osteoporosis consists of lifestyle changes (exercise, abstaining from alcohol, no smoking, maintaining a healthy weight, regular intake of vitamin D and calcium) and when required, prescription drugs such as bisphosphonate. For post-menopausal women, menopause therapy may prove beneficial. There are no known preventative treatments of avascular necrosis. Other risk factors (especially alcohol) should be avoided. Treatment could involve surgery or a prolonged period of bed rest. 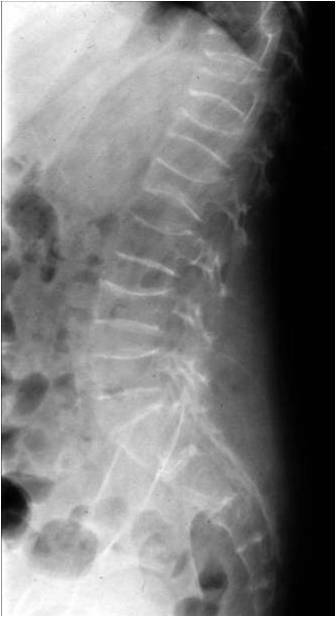 Screening: a radiological bone scan may be required before corticosteroids to assess the patient’s bone strength and decide whether preventative treatment of osteoporosis is needed. Regular scans and examinations of the patient’s bones could follow. Avascular necrosis can be diagnosed by performing an X-ray or MRI. Reversibility: several studies show that osteoporosis improves in the months after cessation of corticosteroids. However, the lesions caused by osteonecrosis are irreversible.